Fifteen years ago, all resume layouts looked the same: plain text, no fireworks. Whether you got the job or not depended only on your qualifications. But the times have changed. With advanced graphic design software available to anyone, the looks of your resume have to stun recruiters as much as your skills and experience. Even if you’re not a graphic design pro, you can have a beautiful creative resume that reflects your character and wows every recruiter! A list of the most amazing resume templates that are free to download and edit in MS Word. Check them out and pick the one you like best. Quick step-by-step instructions on how to use MS Word resume templates. The best tips to make a resume in Word and make hiring you a no-brainer. Or, you can choose an easier way to make a stunning resume and use our resume builder. Just fill in the blanks and have a professionally designed resume ready in 5 minutes. Plus, you'll get insider tips from HR pros and right vs. wrong examples as you make your resume. See 20+ resume layouts and create your resume here. Professional Resume created with Zety - See 20+ resume layouts and create your resume here. Watershed is based on Zety's own Cascade. 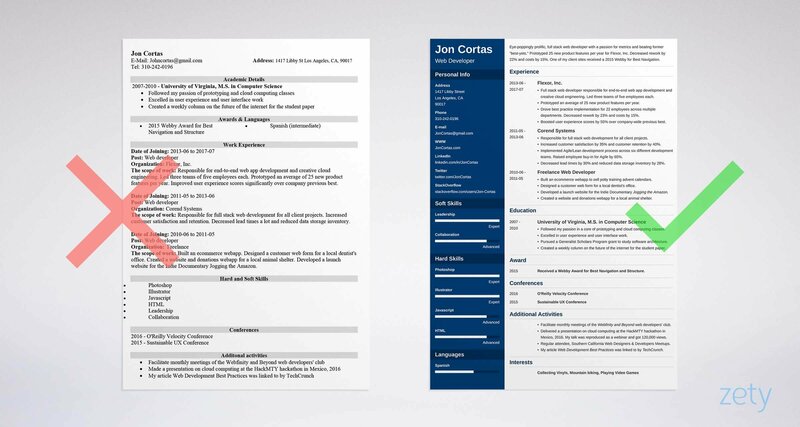 It's a two-column resume with simple fonts and clear headings. All these elements make it easily navigable and elegant. Great for seasoned pros and newbies. You're free to change the colors, layout, and fonts. Make it fully yours. Designed by Mats-Peter Forss, this professional resume template in Word shows a perfect balance between formality and creativity. Feel free to customize it, rearrange the sections, and fill it in with your career details. Here’s the link to this resume template in Microsoft Word. This basic resume template is for those who want to use a simple resume format in Word. It’ll be a great fit for candidates targeting jobs in traditional industries and it’ll also work well as a college student resume template. Here’s the link to this Microsoft Word resume template. This free modern resume template for Word has been created by Behance’s Sadique P. Notice how the two resume columns can help you make the most of a one-page Word resume and add a creative touch to this otherwise basic resume. Here’s the link to this free resume template in Word. Created by Microsoft in collaboration with MOO, a digital design company, this free downloadable MS Word resume template is very neat, clean, and legible. All sections are easily visible so that recruiters will know where to look for the most important information about you. Here’s the link to this resume template in Word. This resume template, created by Zoki Design, is a great business resume template. Downloadable in Word, Photoshop, and Illustrator, it’s got a lot of customization options, including changing the fonts and spicing up the color palette. Another free Word resume example created by MOO together with Microsoft. This one focuses on readability and simplicity. It uses colors, large section titles, and a popping header to draw attention to the parts that matter most. 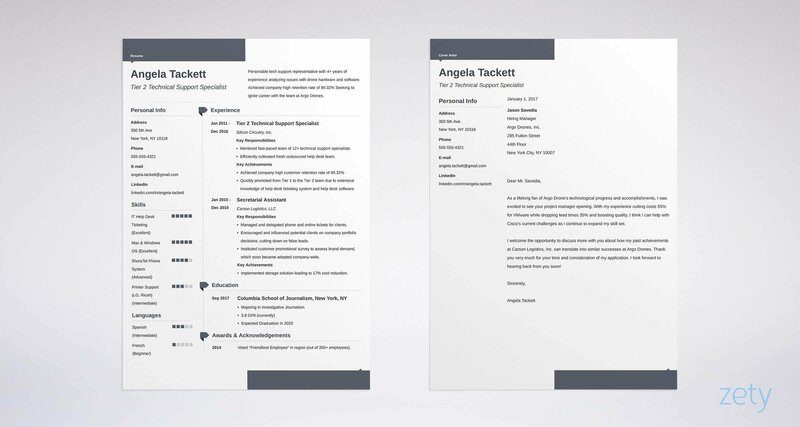 You can also use this template to create a two-page resume in Word. It’s a highly recommended corporate or executive resume template. By designing this Word resume template, Sadiqe P proves that even the most traditional resume layout can benefit from a few design tricks. Thanks to the use of the two columns, all entries are scannable and extremely clear. A perfect example of a free printable resume template for Microsoft Word that’ll lose none of its charm once printed out on white paper. (If you choose this one, you’ll also get a Word cover letter template). One of our favorites, named “Crisp and clean resume,” this one delivers on what’s promised in its title. Have a look at how the resume objective stands out thanks to the yellow highlight. We recommend it for an entry level resume template, or a student resume template. That’s how personal branding works on a resume! The header of this template immediately stands out from the rest of the text. The little personal logo grabs attention and indicates a high level of professionalism and attention to detail. Thanks to a neat footer, this could also be used for making a two-page resume. It looks almost like a typical, classic resume template in Word. Exactly - almost. The shade in the header and little icons marking each section make it really eye-catching and super legible. Use this Microsoft Word template if you’re writing a resume for a corporate job but wish to add a sprinkle of creativity. This one’s also perfect for a student resume or an Academic CV. Think you can’t make an infographic resume in Word? Think again. The “Freebie” single-page template made by Resume Creator for Behance shows it’s perfectly possible. This one might well be the best free creative resume templates for Microsoft Word you’ll ever see. 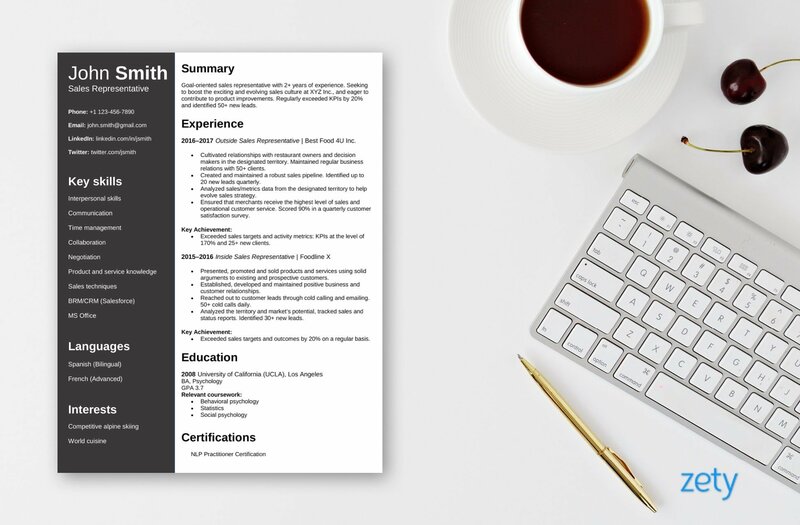 A perfect example of a clean, downloadable single-page resume template. Tiny icons at the top make the contact information section stand out. All entries in the Experience and Education sections are neat and easily read. This resume design is very elegant and neat. White space will guide recruiters’ eyes to where you want them to go, a little color here and there will make sure no information passes unnoticed. Another minimalistic Word document resume template, spiced up with a creative, yet tasteful header. Clean, elegant font, together with sharply separated section titles make this resume very easy to scan. The classic resume template for Word is highly recommended for students who want to highlight their education section and convey their professionalism. Here’s the link to this free resume template downloadable in Word. Last but not least, a simple yet very professional resume design. Made by Gilang Tito Dharmawan, it’s a great example of a one-page college student resume template in Word. However, because of its universal, elegant layout, it can be used by job seekers across all fields and professions. How to Make a Resume in Word? There is no free resume builder for Microsoft Word, but that shouldn’t bother you. All MS Word resume templates we’ve shown you can be easily customized. Just pick and download a template you like most and you can have your stunning resume ready in no time. Use one of the built-in online templates available in your MS Word. 1. In the toolbar, select “File”. 2. Then, click on “New” (“New from template” if you're using Mac). 3. In the search box, type in “resume”. 4. Finally, choose one of the 75 templates from the “Resumes and Cover Letters” category and edit it in your MS Word. Choose one of the templates offered online by Office 365. Visit this link and pick a template for your resume and cover letter. Some free blank resume templates for Microsoft Word might come with placeholder info. Just substitute it with information about you. Once you choose your favorite one, just click “download” and edit the template in your MS Word. You can also choose the “Edit Online” option and, well... make the edits online and download a ready .docx file. Either way, it’s as easy as one two three. Pick a Word resume template from our carefully curated list above. The Internet is flooded with free resume templates for MS Word available for free download. Notably, many of them aren’t any good. That’s why we’ve done the job for you. All of the Word resume templates listed above are free to download. They’ll usually come in a .zip file containing Word files compatible with all the MS Word versions, from 1999 until today. Once you extract the .zip data, simply choose the file which works with your software and start filling in your information. Just as you’d do with any other Word document. Remember that contents still matter more than design. Right, so you’ve picked a neat resume template. One that’s going to dazzle every reader. You’re basically guaranteed to land this job, aren’t you? In the hiring industry, it’s not all about the looks. You still need to know how to craft the contents of your resume to show recruiters you’ll do well in your prospective position. Otherwise, even the most beautiful and original Word resume template will get you nowhere. Before you jump into writing your resume, let me give you some golden nuggets of knowledge. Use them wisely, and you’re going to have a job-winning resume - better than 9 out of 10 others. First, learn the critical rules. 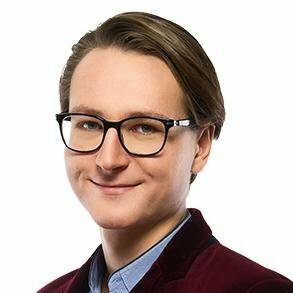 This quick guide will take you from a resume rookie into expert in 5 minutes: How to Make a Resume: A Step-by-Step Guide (+30 Examples). Then, pick a professional format. This is key to presenting your strongest suit to employers. Make them realize they need you: Resume Formats: Pick the Best One in 3 Steps (Examples & Templates). Once you’ve got the general idea for your resume contents, get the show on the road. Ain’t as easy as it seems? Well, we’ve just made it easy: How to Start a Resume: A Complete Guide With Tips & 15+ Examples. Alright, all buttoned up? Time to spice up your resume with a few simple hacks, add the most important resume keywords, and make sure you don’t repeat the same mistakes everybody else makes: Resume Dos and Don'ts: 50+ Tips & Advice on Building Great Resumes. Do write a cover letter. Why? Because you can’t argue with the stats - almost half of the recruiters won’t be bothered to open your resume if there’s no cover letter attached. Do it right, and you’ll double your chances. Here’s how: How To Write A Cover Letter in 8 Simple Steps (+12 Examples). Pro Tip: Want to see some proven resume examples tailored specifically to your profession? Go here for industry-specific resume writing guides and plenty of insider tips. The fact you’re using a professional MS Word resume template to create a resume doesn’t mean you have to save it as an MS Word .docx file. In fact, that would most likely be a huge mistake. The more creative your MS Word resume layout is, the bigger the chances it won’t open properly in MS Word on another computer. If you don’t want a faulty resume file format hurt your chances for the job, read our guide: Word vs PDF Resume: What is the Best Resume Format? As you can see, you don’t have to be a graphic design pro to have a beautiful resume. There are hundreds of free Microsoft Resume templates you can download. We’ve researched MS Word templates for resumes and hand-picked the best of the best, just for you. When choosing your template, remember to tailor it to the industry you’re applying to. Creative resume templates, however tempting, are not the best fit for traditional corporate jobs. Once you’ve picked and downloaded your beautiful resume template in Word, don’t forget that the contents of your resume matter just as much as the design. Do some basic learning before you start writing a resume (we’re here to help!) and get ready for your dream job! Do you have any questions on choosing the best resume template in Word? Want to share your resume design inspirations and ideas? Give us a shout in the comments and we’ll get back to you!